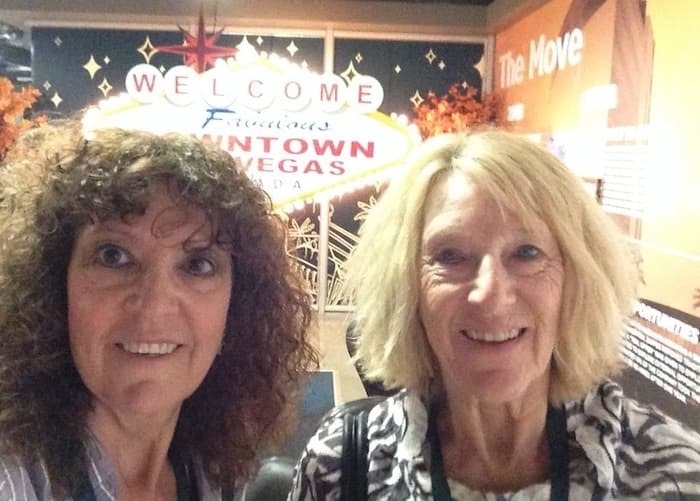 Last week Gillian and I were fortunate enough to be able to experience a tour of Zappos, located downtown in Las Vegas. For those of you who may not be familiar with this company, it is owned by Amazon but is independently run. It focuses on selling retail products online, from shoes to accessories to clothing. Their motto is “delivering happiness”. So why on earth would we want to tour Zappos? Well, because Tony Hseih, the CEO runs his corporation like no other CEO we have seen before. Tony is famous for his entrepreneurial spirit and his focus on customer service. He has written several books. His flagship book that says it all is called Delivering Happiness: A Path to Profits, Passion and Purpose. The Zappos organization and its people are committed to delivering happiness to all of their online customers. In order to do that, Zappos created a culture that would foster that not only for their customers but also for their employees. Our goal in touring the company was to explore the culture and see how we could apply it to our business. 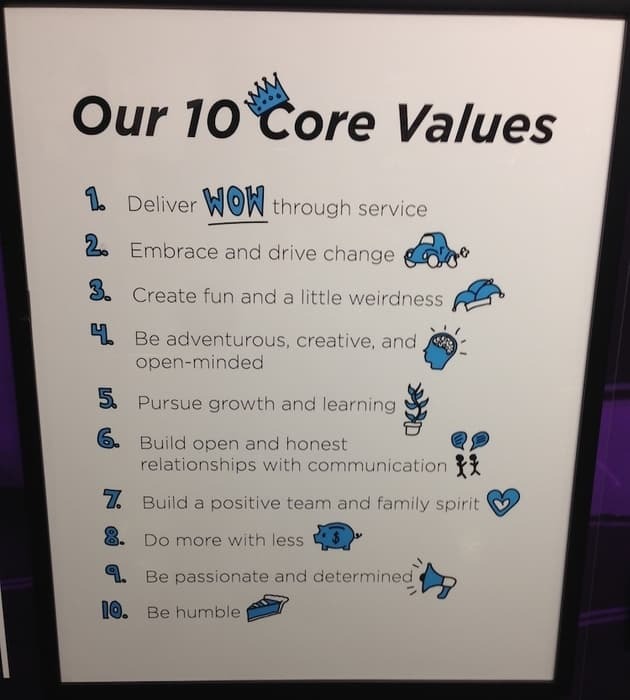 All Zappos staff must embrace the 10 Core Values*. That is a prerequisite. That is even more important than previous experience or skills. If you fail to embody it in the work environment, they will happily pay you (one month’s salary) to leave. Every employee must embrace the Zappos Core Values. Each employee is empowered to make a difference to the organization in whatever way furthers the mission of Zappos but also enhances the happiness of their own position. Wow what a concept. Almost as if each person is an entrepreneur. 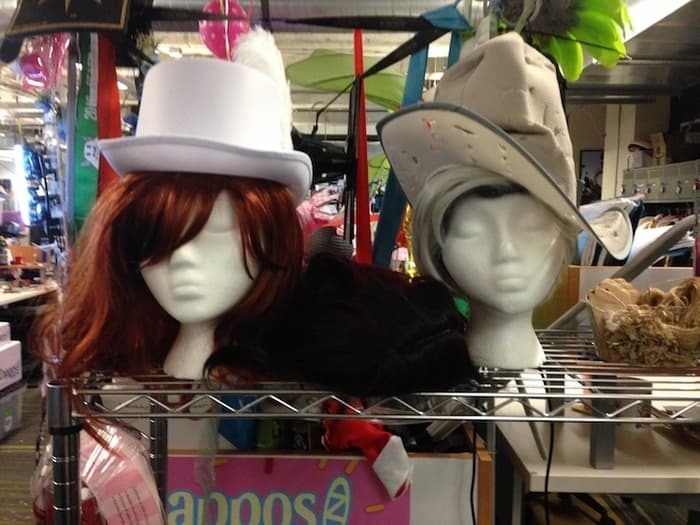 Zappos employees are free to dress up and have fun. Costumes, wigs, and hats provided. 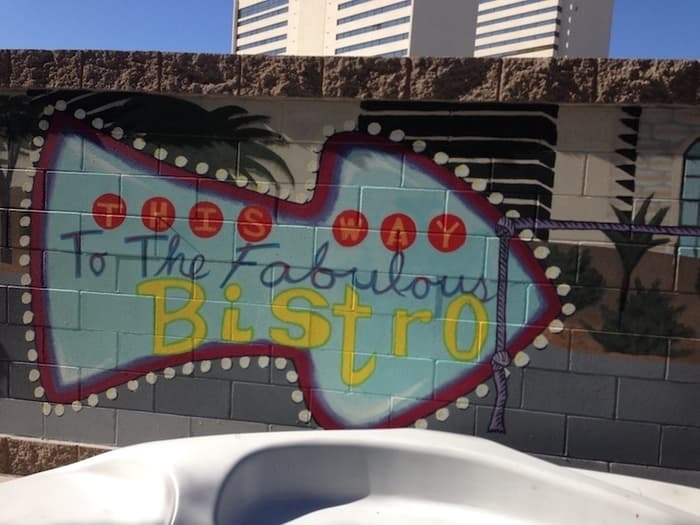 Different areas all over the Zappos property, which is the old Las Vegas City Hall, are set up to encourage people to engage and create conversations that would further the goals of Zappos and each of the individuals. From cafeterias to a fitness center, to napping pods, to shadowing other employees, to just hanging out on the patio for a coffee, all are based on the wellbeing of their employees and expressing their ideas. At Zappos lunch is free each and every day. People are encouraged to create new services which embraces their entrepreneurship spirit. It also teaches employees how to create their own businesses. Below are a few stories to demonstrate that culture. Jackie, was our tour guide, her full-time job. Zappos employees are encouraged to bring their dogs to work. Jackie recognized that often times people were so busy they didn’t have time to walk their dogs. So, she set up a dog walking business. Eventually that may become her full-time job as she is quite busy adding more dogs to her list to walk. We were shown a large wall covered with a mural by artist Miguel Hernandez. His story was that he had offered to paint a large wall to make the room more attractive. Before he knew it, his job became resident artist. His work is so appreciated that the Mayor of Las Vegas announced that Miguel would be honored for his contributions to Zappos and the Mob Museum on May 16th, 2016 as “Miguel Hernandez Day”. His entrepreneurial spirit was a contribution to Zappos and inspired his current role as “artist”. 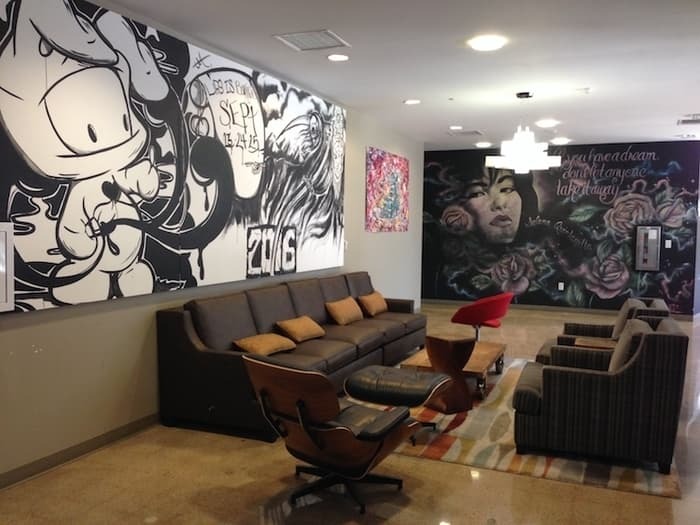 The artwork of Miguel Hernandez, the resident artist at Zappos. Tony Hseih, the CEO once had a beautiful apartment on the penthouse floor of the building overlooking the Freemont area of Las Vegas. But about a year or so ago, he decided that he was becoming too removed from people and was missing the serendipity moments and collisions (opportunities to meet and collaborate). So, he decided to set up an airstream trailer park and moved into his own trailer with his dog and pet llama. Now Tony is happy as a clam. The message is don’t remove yourself from your people. Stay connected. We both walked away from our 90-minute tour feeling very inspired. We realized that we already embody those 10 Core Values and that we want to be known for “Delivering Happiness” and showing our customers a Path to Profits, Passion and Purpose. We want to work with online business owners who feel the same.